The quake hit at 8:23 pm (1123 GMT), at a depth of 39 kilometres (24 miles), off the east coast of Honshu, Japan, the US Geological Survey said. A 5.9-magnitude earthquake hit Japan Saturday evening outside of Tokyo, swaying buildings in the capital, but no tsunami warning was issued. Japan's meteorological agency said no tsunami warning was being issued. There were no immediate reports of damage after the quake, a relatively rare strong tremor to hit the capital. 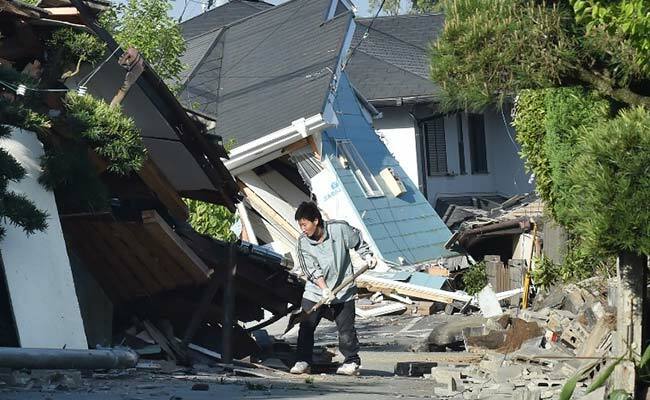 Residents in part of the Chiba region outside Tokyo reported strong tremors, with some saying the shaking had knocked objects from shelves, but there were no immediate injuries reported. Public broadcaster NHK said no abnormalities had been detected at nuclear facilities in the region. A spokesman for Narita airport outside the capital said the quake had forced a brief suspension of operations. "We temporarily closed the runways but resumed operation after confirming there was no damage. The quake was fairly strong but there was no panic at the airport," he told AFP.